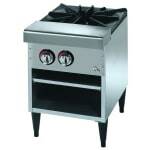 The Star 601SPRF Star-Max® stock pot range has a two-piece, ring-type burner that provides heat to the pot. This one-piece grate accommodates a variety of vessels, and along with the burner, it is made of heavy-duty cast iron. 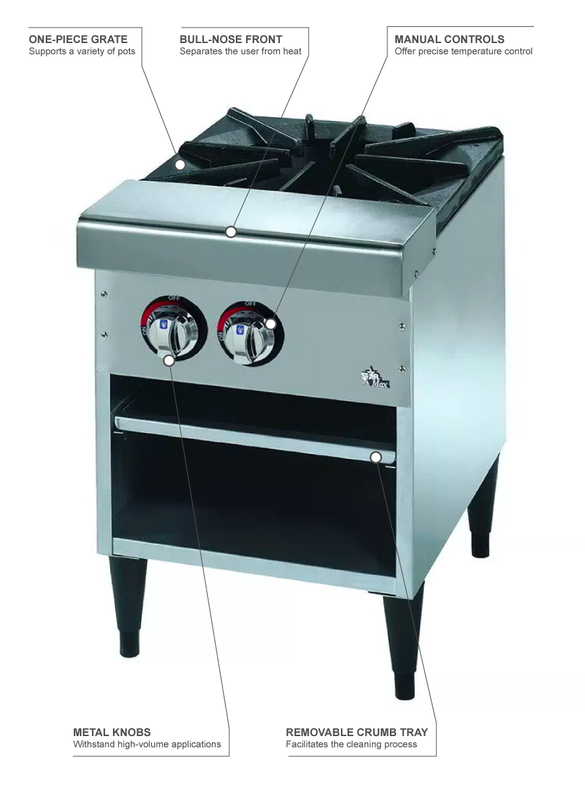 To withstand commercial applications, the metal knobs are strong with a professional look, while the bull-nose front on this Star 601SPRF Star-Max stock pot range reduces the risk of burns by creating separation from the hot components and the operator. It has 6-inch legs, which are adjustable to the preference of the user.